Amanda "The Wall" Waller is one of the best characters in the DC Universe. The way that Rucka handled her in the now canceled Checkmate title was awesome. She is a very believable character which is what makes her so interesting. In a fictional world where superheros are almost universally accepted I find her attitude refreshing. I mean if super heroes were real the government would be looking for some way to control them. Oddly enough I did not like her portrayal in the recent Ostrander penned Suicide Squad mini. Her hands on approach with Chemo seemed out of character to me. Hoo yeah, that was one crazy JLU episode. Really great to read this post. I'm a big Amanda fan too. 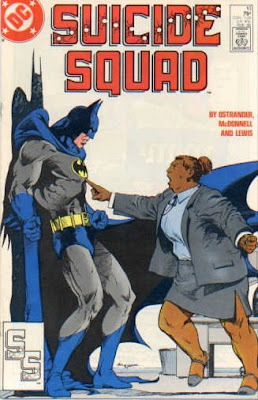 by now, i'm sure you've heard of the plans for a Suicide Squad movie franchise... hopefully Amanda Waller has a role in it. the lady who did her voice in the cartoon would be a great casting for the part! i need to watch the rest of that cartoon! that was gonzo! Hey Samax! 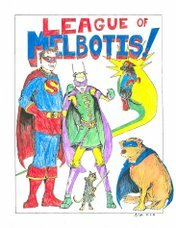 Justice League might be on iTunes now. She's all over the show. I am THRILLED to hear about the Suicide Squad movie. I agree with your casting suggestion. She's not in enough stuff. As per other Squad folks: You have to have Flag, Bronze Tiger and Deadshot or it won't be the same. that's almost EXACTLY what i said on my blog (i forgot about flagg). there's a million reasons that i'd like to see a good suicide squad movie, and those particular characters will translate for the big screen. it would be cool for the super-powered characters to keep dying while the skilled humans keep surviving! 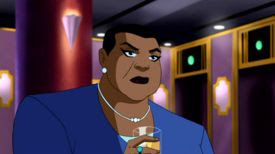 like you, i've always enjoyed Amanda Waller.